I have kept working in Haiti for many years. 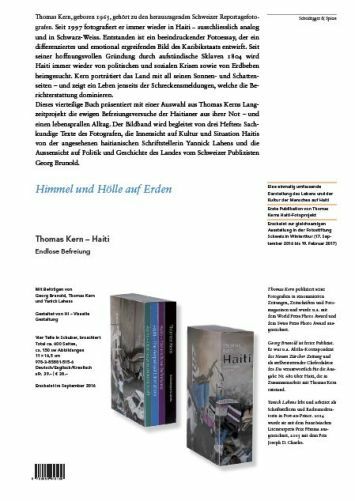 In September my work will be published by Scheidegger & Spiess in Zürich. 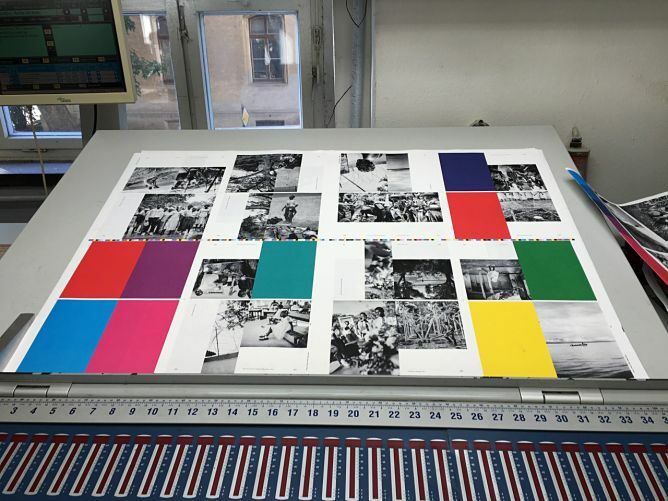 The publication will coincide with an exhibition at the Fotozentrum Winterthur. 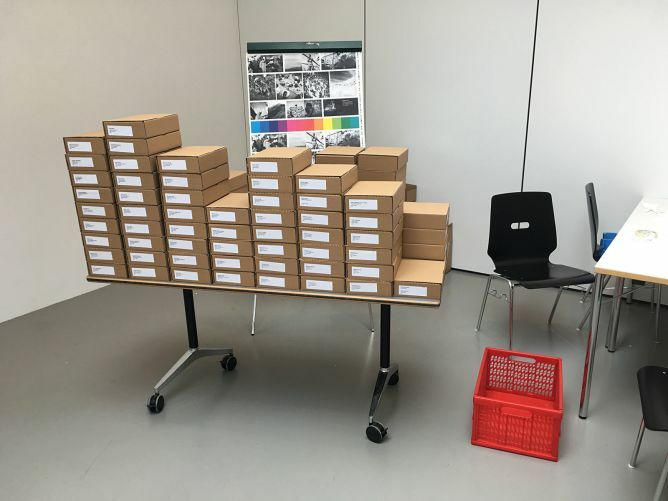 Die Ausstellung ist eröffnet und unser Buch ist rechtzeitig angekommen. Die Vernissage war toll, ich habe viele gute Rückmeldungen bekommen, das Haus war voll und entsprechend war es schwierig für mich, mich bei euch allen noch einmal herzlich zu bedanken. Diejenigen unter Euch, die an die Eröffnung kommen konnten: ich hoffe Ihr alle habt das Buch und die weiteren Gaben entgegengenommen – und noch viel mehr hoffe ich, dass ihr mit dem Buch (bzw. den Büchern) das Ihr nun in den Händen habt etwas angfangen könnt. 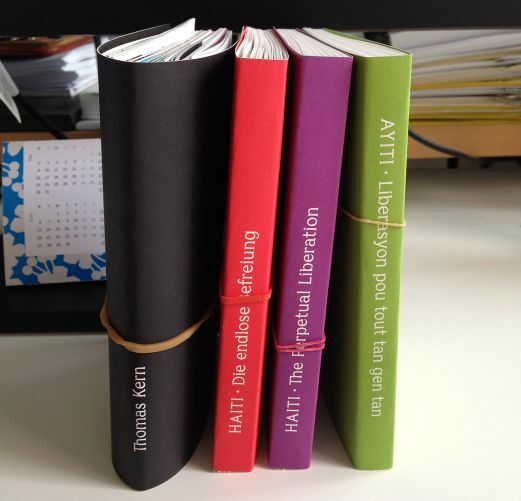 Für alle anderen, ich werde kommende Woche mit dem Versand der Bücher beginnen. The opening of the show is past, it was a great success. The feedback is so far very positive, we had a full house and I apologize for anyone who was present and I was unable to talk to, again say thank you, and so on . . . . Those of you who were present, I hope you were able to pick up your copy and that you are enjoying what you have in your hands now. 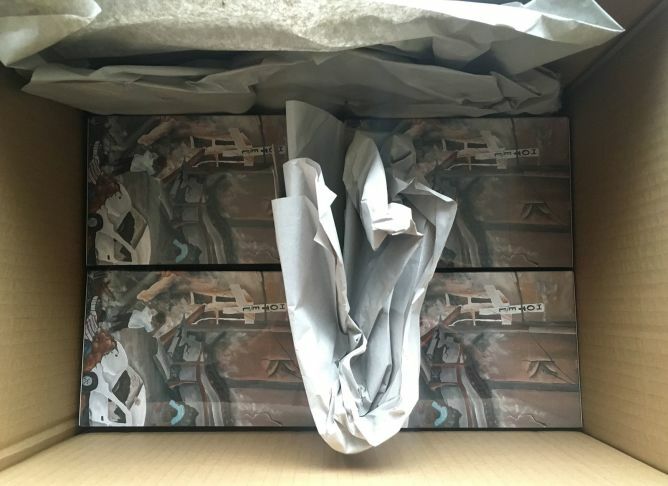 For all the others, I will start shipping the boxes sometime next week. Best wishes and thank you all again, th. Eigentlich läuft alles gut. Das Buch ist gedruckt und die Druckbögen müssen nun noch durch die Ausrüsterei zum Binden und Schneiden und zuletzt dann in den Schuber. 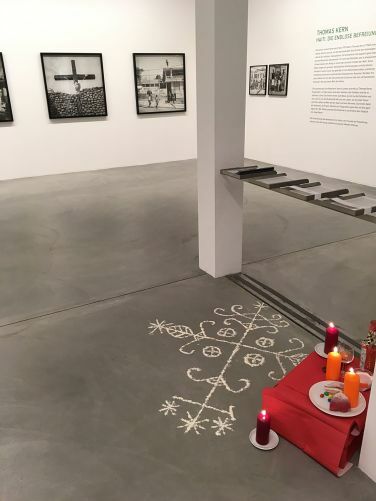 Die Vergrösserungen für die Ausstellung habe ich letzte Woche zusammen mit Christian Spirig auch die letzten gemacht und nun sind die Bilder in den Händen des Rahmenmachers. Das Buch wird erst kurz vor der Vernissage geliefert und auch die Postkarten werden erst noch gedruckt. Ich will mit dem Einladen zur Eröffnung in Winterthur aber nicht noch länger warten und sende euch die Einladungskarte nun auf diesem Weg – etwas weniger persönlich als ich es geplant hatte, aber dafür früh genug, dass ihr euch den Abend noch reservieren könnt. Ich hoffe, dass möglichst viele von Euch am 16. September den Weg nach Winterthur finden werden, zum einen, weil ich euch allen noch einmal von ganzem Herzen Danke sagen will und zum anderen, weil ich euch an dem Abend Bücher und Karten am liebsten selbst übergeben möchte. Ich freue mich euch in Winterthur zu sehen! Everything seems to work out fine. 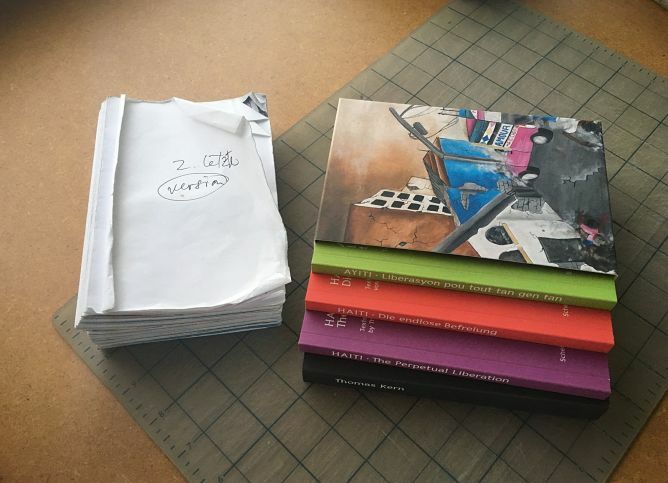 The book is printed and the sheets now have to be bound and cut and placed into the slipcover. Last week Christian Spirig and I finished the production of the exhibition prints and the images are now in the hands of the framer. The book will only be delivered shortly before the opening and the postcards also have yet to be printed. However, I didn’t want to wait any longer with sending out the invitations for the opening in Winterthur which is why I send you the invite like this – slightly less personal as I had planned, but early enough for you to make yourself time to attend – I hope. I would love to see as many of you as possible on the 16th of September. First, to personally one more time say thank you for your support, and second, because I would prefer to deliver the books and cards right there myself. 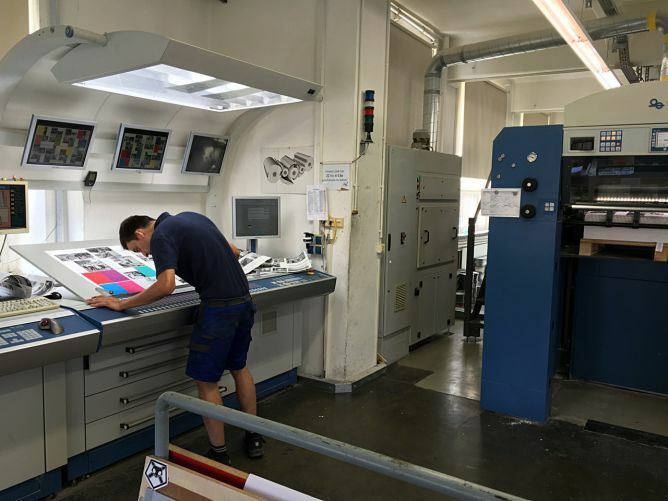 In the printing shop of DZA in Altenburg, Thüringen. The book is coming to life, a major step forward . . . Thank you Megi!!! In the meantime I have started working on the exhibition. The outline of the show should be done by the end of July. I keep you posted, hope to see you soon. we are making progress with the book! 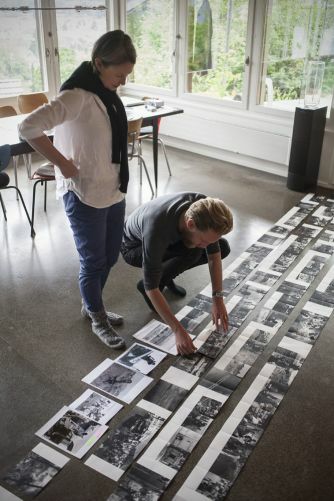 Last friday Nadine Olonetzky of Scheidegger&Spiess and Claudio Barandun of hi design and I met to discuss and determine the final edit and sequence of the images. Also, the publishers have prepared a preview presentation for their sales representatives so they can start with selling the book to the stores and booksellers. While having our meeting, Bernard Weber took a few shots for an upcoming TV documentary on the book and my work. In a few weeks we will leave together for Haiti to shoot the main part of this documentary. Bernard is a camera man and director who has his own love affair with Haiti – he has been teaching at the Jacmel cineinstitute.com for the past few years. We are both very much looking forward for this trip. Most texts and essays have been submitted and some of them are already in the process of translation. I hope you are all well and happy. I send you best wishes and I will stay in touch. 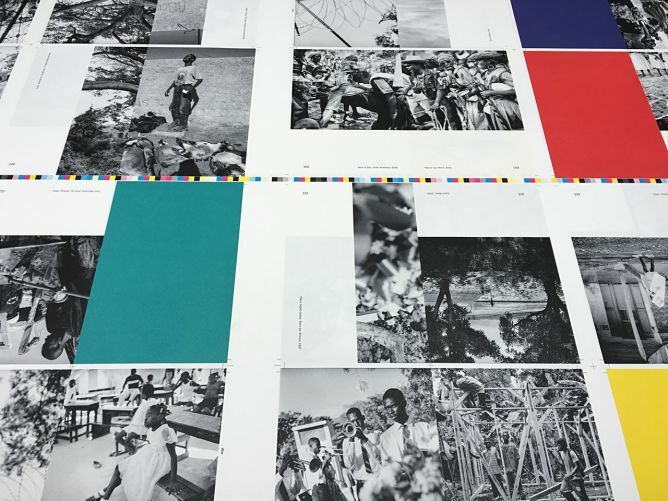 a few days ago the campaign for my publication of Haiti – The Perpetual Liberation has ended. I want to say thank you, to all of you who contributed to the success of our fundraising effort. The campaign was a success and surpassed not only the goal we set for the wemakeit campaign, but went above and beyond our highest expectations. In the meantime, the work on the book has started. 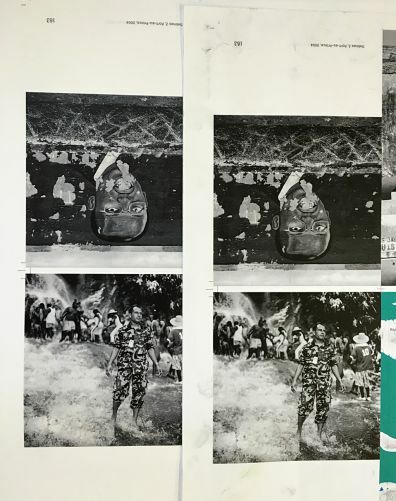 Negatives scanned, images have been layed out on floors, selected, sequenced and reconsidered. Texts have been written, soon to be translated. The fundraising effort still continues with further institutions and foundations. One can say – I am very busy – with more than one part of my brain at the same time. I will try to keep you all posted with news during the further process of the making of my – and now also yours – book! Mèsi anpil pou èd ou! We are almost there, and it is certain we will achieve the goal. But don’t stop now! Please continue to spread the word, we can very well use the money. Just the other day the publisher got another negative letter from a foundation we were hoping to receive some funding. So the campaign is still on, for another 30 something days . . . . Thank you very much, you made it possible so far and helped me to take a big step forward to the completion of this project. This project ended successfully on 25/4/2016 12:00! You will get a personal invitation and a set of postcards for the opening of the exhibition which will coincide with the publication of the book. You will get a personal invitation to the exhibition and a copy of the book will be put aside for you, either for pick up or to be sent out to you. You will get a copy of the book signed by me, with a dedication of your liking, for yourself or someone else, plus a set of postcards. The invite to the opening of the show is included, of course. For this you will go one step up and receive the same, namely a signed book, with the postcards – but you add one bottle of Haitian Rum, Barbancourt, 5 étoiles, this will make a perfect companion for viewing and reading the book. This will get you the signed book, including the dedication of your liking, a set of postcards – plus a 30x40cm print of my choice on Innova Natural White Cotton Paper, signed on the back. This will get you the signed book, including the dedication of your liking, a set of postcards – plus a numbered edition print of my choice 30x40cm on Silver Gelatine, Baryt paper, vintage, done by myself. (If you like, you can visit me at my studio and look over my shoulders while printing it) – a true upgrade from the digital print. I personally will mix you a rhum sour or rhum punch (of course with Haitian Barbancourt) and I will try hard to cook you a Haitian dinner for two (possibly under close supervision of a true Haitian cheffe!) plus of course the book and the 30x40cm Silver Gelatine Print to take home with you. A portfolio box containing 5 prints 30x40cm, done on Silver Gelatine, Baryt paper, vintage, printed by myself, signed in verso, including the book with dedication and postcards – and a bottle of Barbancourt to go with it. Thomas Kern was born in Switzerland in 1965. 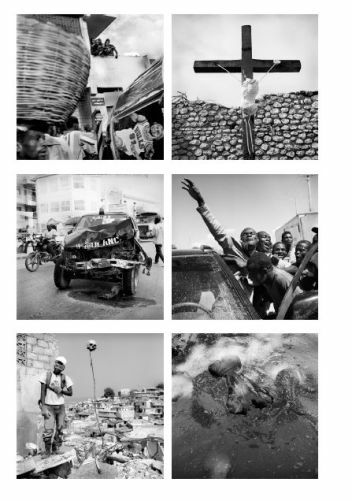 Trained as a photographer in Zürich, he started working as a photojournalist in 1989. 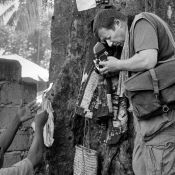 He was a founder of the Swiss photographers agency Lookat Photos in 1990. 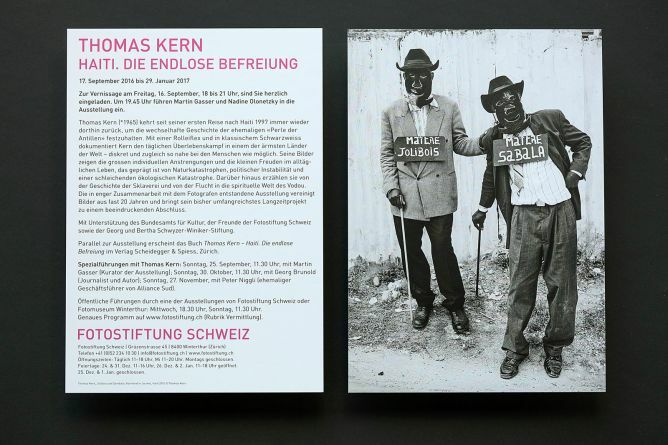 Thomas Kern has won twice a World Press Award and has been awarded several Swiss national scholarships. His work has been widely exhibited and it is represented in various collections.